Limelight is the first film in which Chaplin’s own music and lyrics came together to the cinema screen. Chaplin plays a once famous music hall artist - who dreams at night of the songs he performed in the past. The flea circus idea is one that Chaplin envisaged as early as 1919 in a film called “The Professor” that was never released. 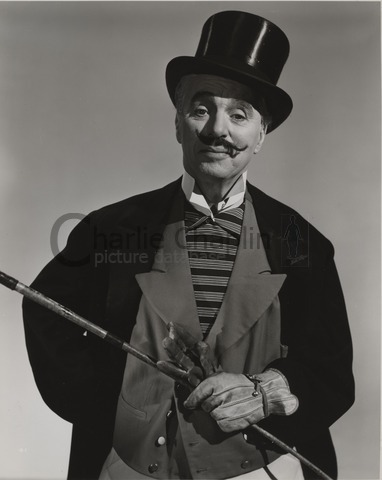 We hear Animal Trainer twice in Limelight - once in a dream, which turns into a nightmare as his character Calvero realises the theatre is completely empty, and secondly, to much applause, at the gala performance arranged in his honour at the end of the film. Lions, tigers and wild boar. And some say it was beer. But I did not despair. I got a bright idea. So why not train a flea? To be found right here at home? And educated him with care. And then he found himself a wife. Music and Lyrics by Charles Chaplin for the soundtrack of "The Circus"